Associate Justice Antonin Gregory Scalia dies at age 79—he preached a static and stale legal pedanticism that neither our language nor Constitution could carry. ...the Republican's hearing on sexual misconduct allegations against Kavanaugh is little more than their sham (Senator Graham (R-S.C.) and Kavanaugh doth protest too much∅) efforts to continue efforts to cram-down another unfit justice...but as Bob Dylan might say "The Times They Are A Changin'"
UPDATED 04/08/2017 AP, Senate Democrats Secure Votes To Block Gorsuch The minority Senate members need not apologize for filibustering the Gorsuch nomination. He's "mainstream" while attending Federalist Society meetings with its claimed membership estimated at 70,000 (6/7th lawyers and 1/7th law students)! However, such a small clique or core cabal of lawyers committed to pursuing an extreme libertarianism (aka neo-anarchism) is hardly representative of "mainstream" America, especially if they wear black robes on our Supreme Court. 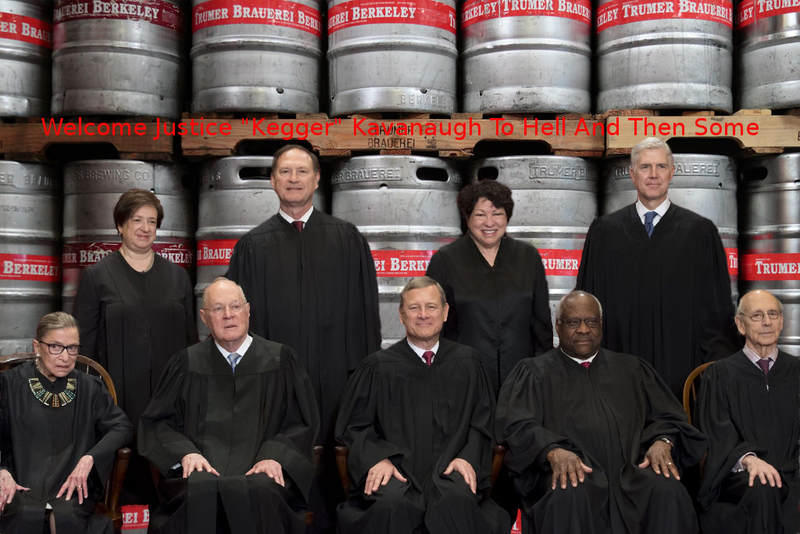 It is not clear if criteria of the ABA Federal Judiciary Standing Committee's rating considers such a stagnant, extreme, and dogmatic2 judicial temperament in a justice of our Supreme Court? 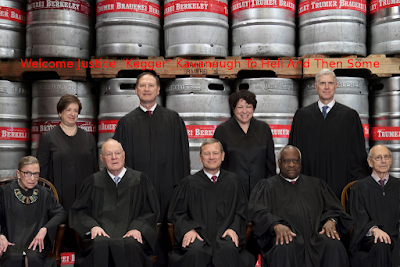 Efforts to disguise libertarian dogma and doctrine (aka neo-anarchism) in black robes is likely to backfire while seriously harming our Supreme Court and nation. Justices who pretend they can interpret our frabjous1 Constitution within today's context are preferable to those who pretend they can interpret it within yesterday's context. Mr. Chief Justice, wonder if the Court's increasing patina tarnish (some might say sully or disgrace) is related to the politician requites? 1. Feel free to spend time studying literature, poems, law, Lewis Carroll, and Alice Through the Looking Glass etc. as needed to interpret yesterday's (circa 1871 CE) context of "frabjous" or grab today's context from Google. 2. 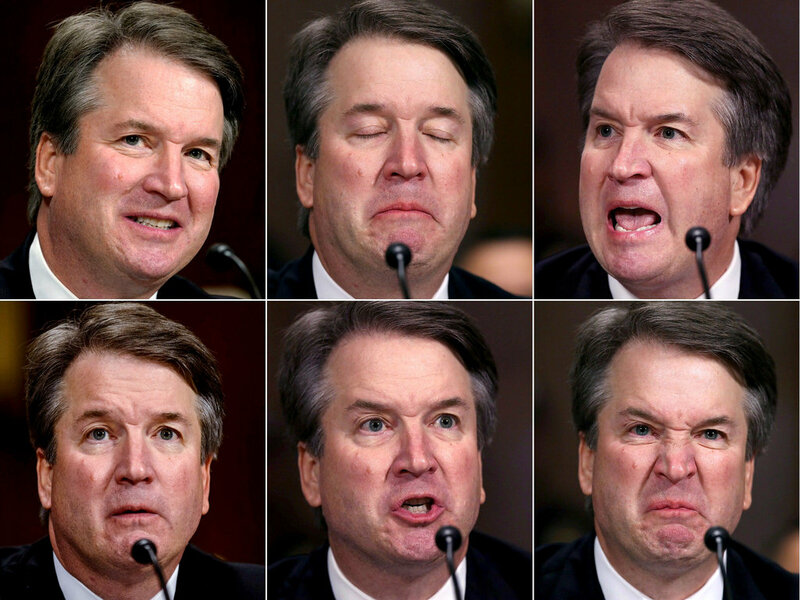 Dogma by definition is stagnant and not an element in the desirable set of attributes required of any lawyer, much less a nominee lawyer to our Supreme Court. An ABA Federal Judiciary Standing Committee, which rates a dogmatic lawyer "well qualified" is either unaware of the dogma or evaluating the nominee as "well qualified" to enforce an implicit agenda. 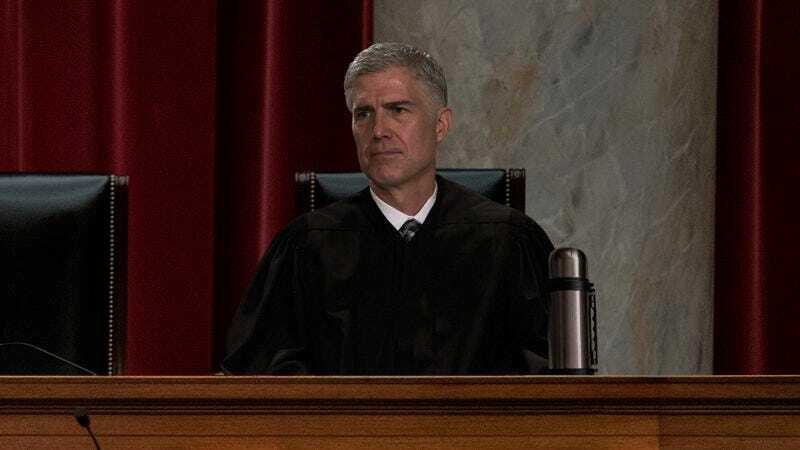 Horrifyingly, it is possible that the the ABA Federal Judiciary Standing Committee is ignoring the dogma and evaluating a Supreme Court nominee as "well qualified" to enforce an explicit agenda?